This event was recorded. Please view part one, part two, and part three. This symposium explores the spaces of artistic, artisanal, and intellectual production. From the artist’s studio to the alchemist’s lab, the stateroom to the secret chamber, the brick-and-mortar hall to the winding corridors of cyberspace, rooms and their contents have long influenced history and transformed their inhabitants. 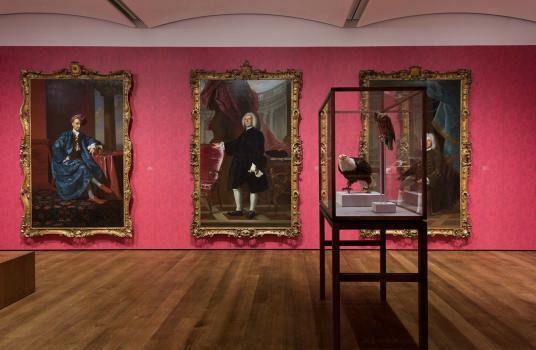 Held in conjunction with the special exhibition The Philosophy Chamber: Art and Science in Harvard’s Teaching Cabinet, 1766–1820 (May 19–December 31, 2017), this symposium brings together artists, architects, and historians to consider the spaces where objects and ideas are generated. Each group of presentations will be followed by a discussion. All symposium events will take place in Menschel Hall, Lower Level. Please enter the museums via the entrance on Broadway. Doors will open at 9:30 am. The symposium is presented as part of HUBweek 2017 (October 10–15). The program is free and open to the public, but seating is limited and registration is required. Please register here. This project is supported in part by major grants from the Terra Foundation for American Art and the Henry Luce Foundation. The exhibition and catalogue were also supported in part by the following endowed funds: the Bolton Fund for American Art, Gift of the Payne Fund; the Henry Luce Foundation Fund for the American Art Department; the William Amory Fund; and the Andrew W. Mellon Publication Funds, including the Henry P. McIlhenny Fund.